I bought this table off Craigslist for our new place because I loved the super light green color and the shabby chic look. Unfortunately, the type of paint that was originally used was a stain attractor. Literally the first hot cup of tea I set down left a stain. And let’s not even talk about any red wine that runs down the side of the glass. Enter Matt. This was exciting news for him because he now had an excuse to buy a palm sander. Yippee! Off to Home Depot we go to pick out the perfect light shade of green for out table, a palm sander, and maybe a couple other gadgets for Matt while we’re at it. Once he started sanding, we realized that we had some solid, beautiful colored light wood under there just waiting to see the light of day. Turns out, the wood happens to match my kitchen table almost identically. Voila! 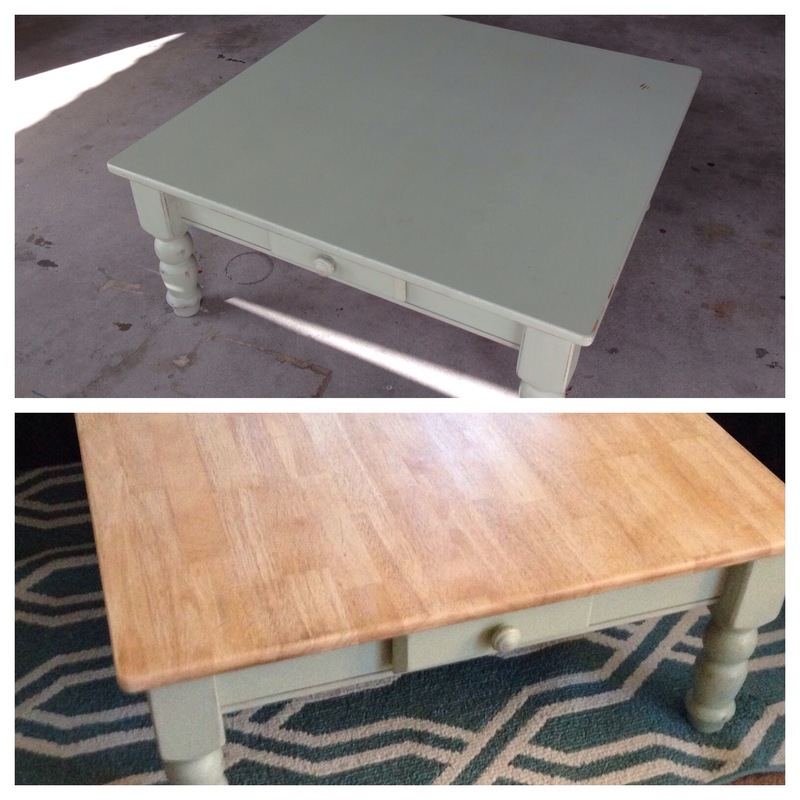 Shabby chic table turned farmhouse style coffee table. One week later, Matt tests out the top coat by spilling an entire glass of red wine. No stain! Hallelujah! That wood is so pretty! Why would someone cover that up! Great job.